It’s prom season, and you know what that means—Dressing up and spending a night dancing with your friends is extremely fun, but the expenses can be extremely outrageous. You can still look a million bucks without breaking the bank! Lulus is a trendy clothing site ranging from many types of apparel for people on a budget. Not only can you buy regular clothing, but you can also enhance your wardrobe with some fancy pieces. A normal prom dress from David’s Bridal is between $200 and $1000, while Lulu’s offers the majority of their dresses for under $100! Prom Girl is a fashionable and formal website with exceptionally good prices! They have a lot to offer, given that they provide every type of prom dress you could think of. Prom girl even has a guide that will assist you to make prom night the best it can be! Dresses can be under $200, plus, an option for cheap shoes and accessories. Perfect Tux is a website all about suits and ties. You can find any type of tuxedo, suit, bow and neckties, shoes and accessories for economical prices! Slim fit and prom tuxedos start from under $200, while ties start at $20 to even $9. They have an amazing guide to finding the perfect tux by applying everything you’re looking for in a filter. 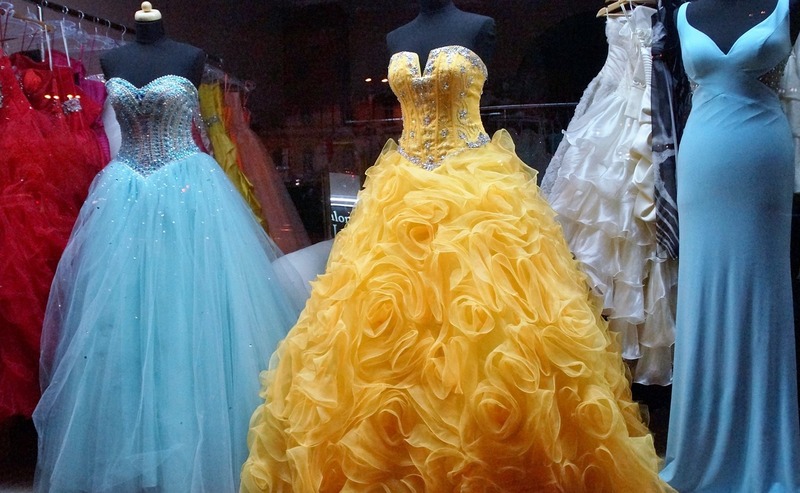 Prom shopping doesn’t have to be just inexpensive, it can be easy as well.